The microbiome is the collection of microorganisms that reside in, on and around the human body, including bacteria, fungi and archaea. Recent estimations tell us that we are made up of about 1 to 1 microbial to human cells, but each bowel movement momentarily shifts the ratio toward human just a bit. (Source) Don’t we all feel a little more human after we poop? Basically, we share this space called the body with millions of tiny creatures. Not only that, they appear to be an integral part of our biological functioning. At this point there is still more that is unknown than is known, but the very basic discovery and exploration of the gut microbiome, often called “the forgotten organ”, has shown us that bacteria is intimately involved in the metabolic processes in the body, including hormone and enzyme release and regulation, production of short chain fatty acids used to produce ATP, epigenetic expression, apoptosis (cell death), cell signaling, inflammation, and possibly much more (Source). New research is also showing a link between disruption of the gut microbiome and neurological issues such as mood disorders, depression and possibly even PTSD. Not surprisingly, our initial bacterial composition comes from our moms. Studies showing differences in the microbiome of infants born via C-section or vaginal delivery strongly suggest that the initial transmission of bacteria from mother to child happens during a vaginal birth (Source) Interestingly, those born by Cesarean section have increased risk of asthma, obesity and type-1 diabetes, all diseases shown recently to be related to microbial dysbiosis (Source). For a fantastic and easy to read summary of the microbiome check out this great comic strip! 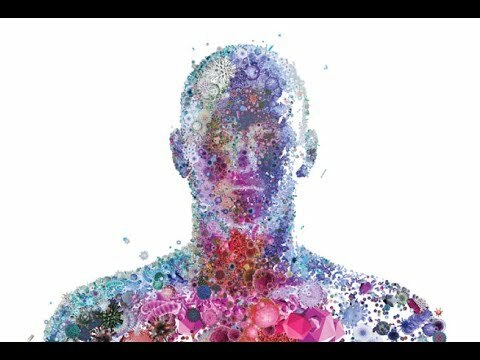 Can we lose our microbiome? The knowledge that we live with bacteria isn’t new. Most of us were raised with germ theory. We wash our children as soon as they are born. We take multiple showers/baths a week. We use anti bacterial soaps and hand sanitizers. We wash everything down with bleach to make sure that every germ is killed. We use antibiotics at the very mention of an ear infection or a sore throat. (Source) In fact, it is estimated in this country that most children have had 2-3 rounds of antibiotics by their second birthday and 10 or more by the age of 10. We even use antibiotics in our food production. About 75% of the antibiotics produced in this country go into conventional animals and feed. After all, we never saw any reason that this could harm anything and it keeps the animals from getting sick in the crowded conditions in which they live. Martin Blasser, a researcher very involved in microbial research, has done quite a bit of work on the effect of the overuse of antibiotics on our microbiome, much of which he accumulated in his book, Missing Microbes. Since penicillin was discovered in the late 1930’s, antibiotics have become the first line of defense in the battle against pathogenic bacteria. While saving multitudes of lives during the subsequent wars, the expanded use came with unforeseen consequences. Within just a few short years, many pathogenic microbes had already been bred into resistance. An antibiotic, particularly broad-spectrum, sweeps through the body killing mass quantities of bacteria, leaving just a bit behind. This carpet bombing technique leaves very few beneficial bugs behind, and each subsequent round of drugs kills off more, leaving less chance of the recovery of abundance. The pathogens that are left are not enough to do any harm (usually), thus showing efficacy of the drug, but they do carry in their genes the ability to resist a subsequent attack (Blasser, 2014). As they reproduce, they pass on this genetic resistance to their offspring, who can then pass genetic information to other microbes, thus spreading this survivability beyond a single pathogen. Now, we have pathogenic bacteria becoming antibiotic resistant within days or weeks of a new drug entering the market. It is estimated that we are fast approaching a pathogen-rich era similar to pre 1930, before antibiotics entered the scene (Source). In fact, the first super bug that is resistant to even our last ditch drug has recently been discovered in the US. due to a genetic disease, was extremely susceptible to pathogens. 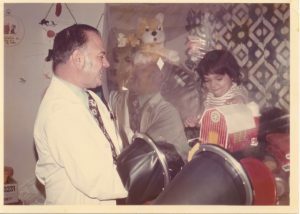 He lived only 12 years starting in the early 70’s, until the bone marrow transplant from his sister, containing a hidden Epstein- Barr virus, killed him within a month. Even with the extreme hygienic precautions he lived under, his doctors knew he was not actually bacteria free. Yet, not much else is known about the colonization he had (Source). Studies in germ-free mice have given significant insight into the role and importance of the microbiome in immune system maturation, mental health and even physiological development of the intestines (Source). It may be that the goal needs to be about increasing the overall diversity of bacteria in the gut. A lack of microbial diversity is a marker present in multiple issues such as obesity, anorexia, IBS, etc. With more species of bacteria competing for space, it seems the health markers increase (Source). It is possible to lose microbial diversity, or to shift species and phyla composition of the gut microbiome toward dysbiosis. As previously mentioned, children born by C-section and/or formula fed may have a compromised microbiota. In such cases, the primary seeding of bacteria more closely resembles the skin microbes of birthing staff or even the pathogenic bacteria often present in hospitals. Additionally, when babies get formula as their first food it lacks both beneficial bacteria and food for the gut microbes, leading to potential modulation of early bacterial influenced metabolic development, which could significantly affect susceptibility to allergens, pathogens and disease (Source). Multiple studies have shown that diet has rapid impact on the microbiome. When changing dietary patterns, changes in the composition of the gut can be seen as early as 24 hours later (Source). When looking at more isolated populations that transition to a Westernized diet with exposure and accessibility, we often see Western diseases quickly follow where they were previously nonexistent (Source). So far, we haven’t seen whole populations that can transition the opposite way, from illness into health, but this is also the first time in human history that diseases that come from within are killing a greater number of people than those that are from outside sources. The Hadza, a hunter/gatherer tribe in East Africa, give us a rare look into what could be our ancestral diet AND microbiome. They eat, on average, about 150 grams of fiber per day, compared to the West’s dismal 8-14 grams average, and their microbiome is more diverse and abundant than ours by a multitude. While it isn’t just their diet that creates that diversity, recent research on the impact of low fiber diets on multiple generations shows us that our industrialized sanitized processed lives could be the beginning of the end. All is not irrevocably lost, however. We always need to search for the light in the darkness. As we watch what comes out of the microbial research over the next few years, we too can try some experimentation. Follow along as I delve into an ancestral experiment over the next couple months and let me know what you are doing to change your own health outcomes.